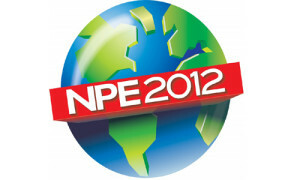 WASHINGTON, DC, U.S.A., February 23, 2015: With exhibit space sales and visitor registrations far outpacing those at the same time in 2012, it is now all but certain that NPE2015 will be the largest show in NPE history, adding to a long list of reasons why this will be a “must-attend” event for any business professional whose product includes plastics. NPE: The International Plastics Showcase is a triennial event founded in 1946 by SPI: The Plastics Industry Trade Association. For NPE2015, which will take place four weeks from now on March 23-27 in Orlando, Florida, SPI projects the number of exhibitors to match and possibly exceed the record of 2,009 set at NPE2000, and attendance will reach 60,000, well above the total for the successful 2012 show. The amount of exhibit space taken thus far already exceeds the previous record set at NPE2000 and is expected to total 1,060,000 net sq.ft. (98,480 sq.m). Even more dramatic growth has taken place in international participation. A record 43% of all exhibitors will come to NPE2015 directly from outside the US—a figure that does not include many companies based in other countries but exhibiting through their US subsidiaries. International exhibitors at NPE2015 will come from 37 countries, including the largest contingent ever from China and substantial participation from Canada, Italy, Taiwan, Germany, India, Turkey, Switzerland, France, and South Korea. As for attendance, SPI projects that international visitors will account for 28% of the total attendance, including a record number from Latin America—approximately 6,500 attendees. More than 600 exhibiting companies say they will have machinery at their booths and over 400 will be operating equipment. Among the many material suppliers taking part in NPE2015, thirteen will maintain large “customer service centers” occupying a total of 56,000 sq.ft. (5,200 sq.m) of space just off the exhibit floor. These centers will provide comfortable settings conducive to discussion, information exchange, and relationship building with customers and prospects.